Xentry PassThru needs to be installed on Windows x64 to support new models, such as Euro5/6, W205, W213, W222 … However, VAS5054A didn’t work on 64bits as passthru. There is 64bits device driver for VAS5054A but there is no PassThru driver working on 64bits. You may try Actia driver instead but this is a patched 32bits PassThru API files with 64bit device drivers working on Windows 10 x64. 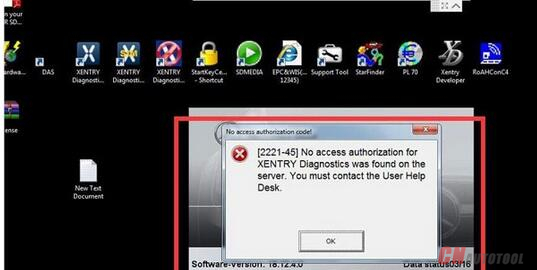 Xentry recognizes it and works with W205 (confirmed), etc. WARNING: Use it on your own risk, only for test purpose. 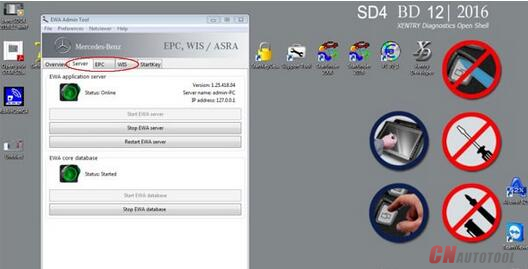 (2) (option) VAS5054A EDIC_PDU_API 1.20.4x driver installation file. You can find it somewhere on this forum. (3) (option) New firmware. The firmware included here is version 1.20.41 for better compatibility, not 1.20.42. (6) (option) DC 12V power adapter, 2 jumper wires for temporary power. (1) Install Xentry PassThru and do all patches. 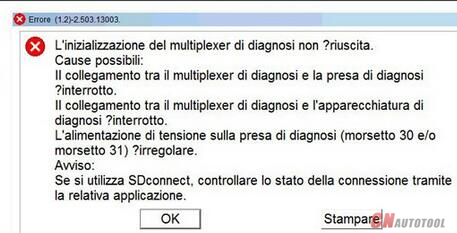 (2) (option) Install EDIC_PDU_API 1_20_42 driver (or EDIC_PDU_API 1_20_41). It’s for installing .NET framework or VC++ redistribution files. If you are going to do clean install on fresh Windows 10, you might want to install the EDIC_PDU driver first. It installs .NET framework, VC++ files, some EDIC DLLs on /Windows/System32 or SysWow64. Other files will be overwritten by the below manual installation. 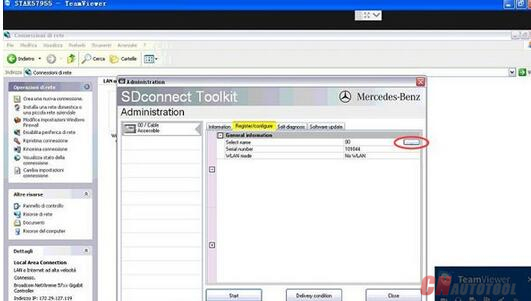 (2) Copy “Program Data\D-PDU API” to your HDD “C:\Program Data\D-PDU API”. (3) Double click on “Softing_VAS5054A_PassThru_1_20_042.reg” and install it. (4) Make a shortcut of “SftngCM.exe” on Desktop. 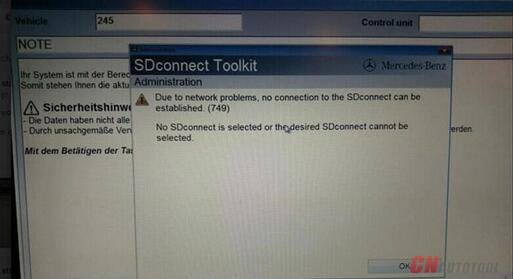 (5) Right click on “C:\Program Files (x86)\Softing\EdicDriver\win7\softingedic7_ntamd64.inf” and install. (6) Connect the VAS5054A hardware using an USB cable. 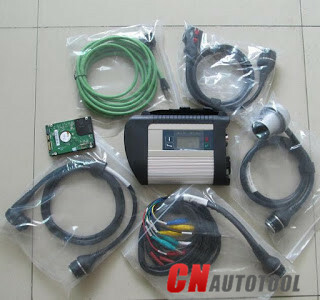 Connect it to a temporary power(12V DC adapter) or OBD-2 port. 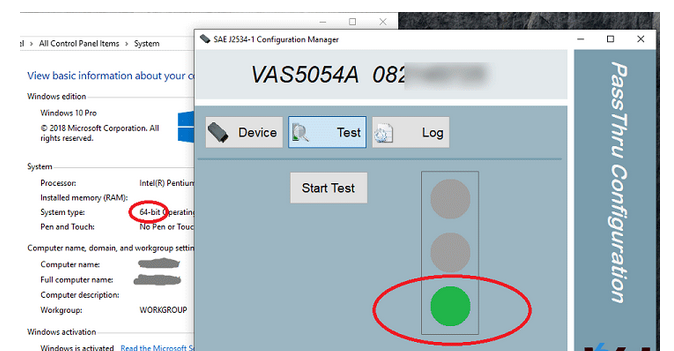 (7) Check “Control Panel/Devices Manager/Softing…”. If not installed correctly, update the device driver manually. 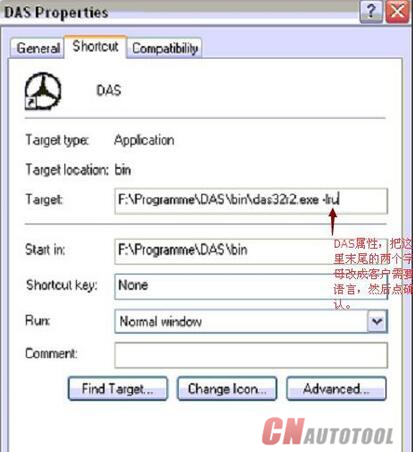 (8) Make a shortcut of “EDICConfig.exe” on Desktop. 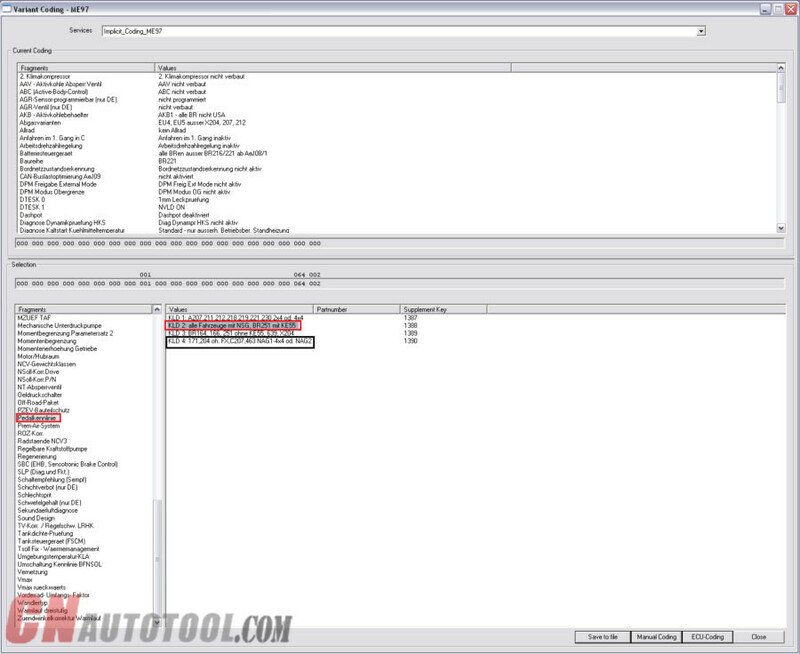 (9) (option) If you have newer version than EDIC_PDU_API 1_20_42 driver and genuine VAS 5054A hardware, you may install the API driver now. (1) Connect the VAS 5054a to a temporary power(12V DC adapter) or ODB-2 port. (2) Run “SftngCM.exe” on desktop as administrator. Make a “C:\Temp” directory if not exists. This is for saving log files. If not exists, SftingCM.exe will cause error when doing test. 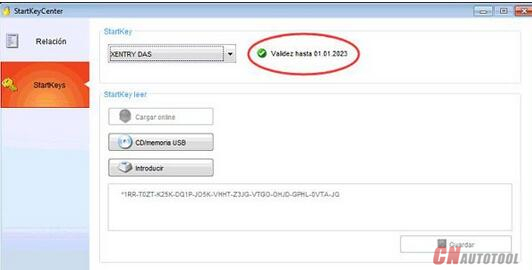 (3) Choose “VAS5054A” and type the serial number (maybe 0821xxxxx). 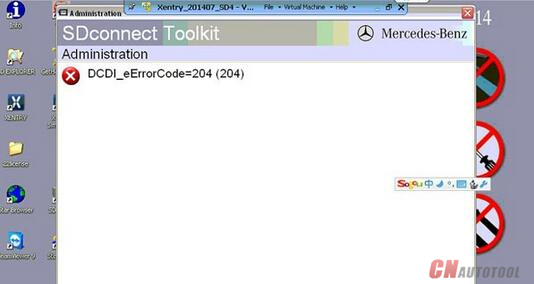 (4) Select “Test” and click on “Start Test”. – RED dot : PC <-> VAS5054A does not communicate. 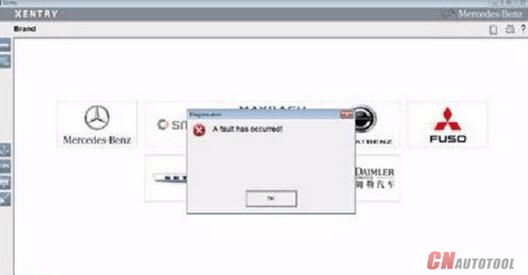 Something wrong on your driver. – YELLOW dot : PC <-> VAS5054A communicates. – GREEN dot : PC <-> VAS5054A <-> Vehicle communicates. (2) Temporary power to VAS5054A for test purpose : Ground to either pin 4 or 5. 12V DC to pin 16. (3) You can upgrade the EDICDriver in “Program Files (x86)\Softing\EDICDriver” if you have newer version. Update the device driver on control panel. (4) If you installed newer version EDIC_PDU_API driver than 1.20.42, edit the *.reg and change the number 1_20_42 to your number (for example, “EDIC_D_PDU_API_1_20_042” to “EDIC_D_PDU_API_1_20_0XX”). After editing, double click on it and install it again. (5) If your device has different serial number but SftngCM.exe doesn’t allow the change, edit the *.reg file with text editor, double click on it and install it again. [[I am copying this post from the one I made on CnAutotool as well, I figure both forums should see it, especially considering MrScott belongs to this one!]] This post assumes you have some knowledge of the software used. I’m not entirely comfortable making a full walk-through for beginners, as this is potentially risky. 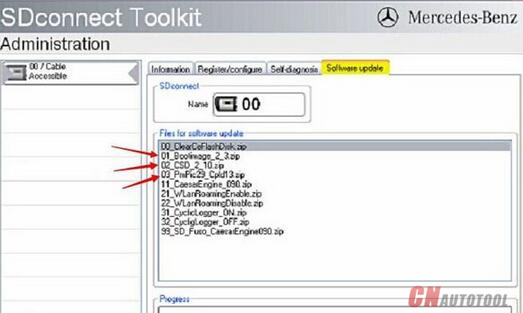 After spending quite some time tinkering with and learning about Mercedes Benz Diagnostic Tool, I believe I’ve almost completely solved my issues with throttle lag on my car. Since owning the car I’ve noticed that depending on how the car is driven, like through heavy traffic or on country roads, the throttle response to the gas pedal does not seem to stay consistent. For example, if I start off driving the car in stop and go traffic, the pedal seems to become “lazy”; next time I mash on the gas, there’s a very noticeable delay in throttle input and sometimes the car doesn’t shift down when it should, either in C or S mode. It was quite annoying, and on a few occasions, kind of risky. Aside from that there’d be a very noticeable difference in the way the car performed on a day to day basis, sometimes it felt sluggish, and other times it felt pretty quick. I really didn’t like how it was unpredictable. This is discussed in a threads like this, and it appears that ECU adaptations are the cause for this. I’m sure the adaptations would be effective in some cases, but where I live and how I drive, the adaptation process seems to have a difficult time calibrating the throttle response, and the result has been pretty undesirable to me. It seems others have the same issue, and have tried solving it doing the simple TCU reset. This reset does work, very temporarily. Every time I tried it, it’d help for a few drives but then it’d revert to sluggishness. I went over 10,000km after pulling the car battery and doing the TCU reset to see if the car needed a long time to “learn”, and it did improve, but the inconsistency/unpredictability of the throttle input, and delay, still remained an issue. I’m very glad to have spent the money getting a diagnostic multiplexer, as it’s allowed me to learn quite a lot about how these cars operate. On top of that, I’ve done a bunch of tweaking to get things to how I’d like. If you have access to one, or know someone who does, the following tweaks have solved these problems for me. This could likely be accomplished in Xentry rather than Vediamo, but I was unable to get access to the necessary settings through Xentry myself. I Please note, I have no idea the effect this will have on warranty, as my car is completely out of any warranty..
#1 (Lastschlagdaempfung) This is the most important one. This parameter seems to be the main culprit for the inconsistent feeling throttle response and sluggishness, and I believe it causes the wonky throttle bodyadaptations which I find so awful. Disabling it has removed most, if not all delay in throttle input. It is referred to as “load-reversal damping” in Vediamo (german), but it is the “Throttle Change Damping” parameter in Xentry. I changed this parameter about a month after the others, and it definitely had the most significant impact on throttle response, and now the throttle is very consistent in performance. I believe this parameter is more directly related to the actual throttle body than the gas pedal, unlike the next parameter. #2 (Pedalkennlinie) This is the pedal curve parameter. My car had KLD4 as default. You can play with this, and possibly leave it at KLD4. However, I changed it to KLD2. From what I understand, KLD2 is meant for cars with a manual transmission, and as such, I’d expect the pedal curve to be the most “natural” feeling to the driver. In contrast, I believe KLD4 is more responsive, but “jumpier” (more erratic in terms of throttle input). 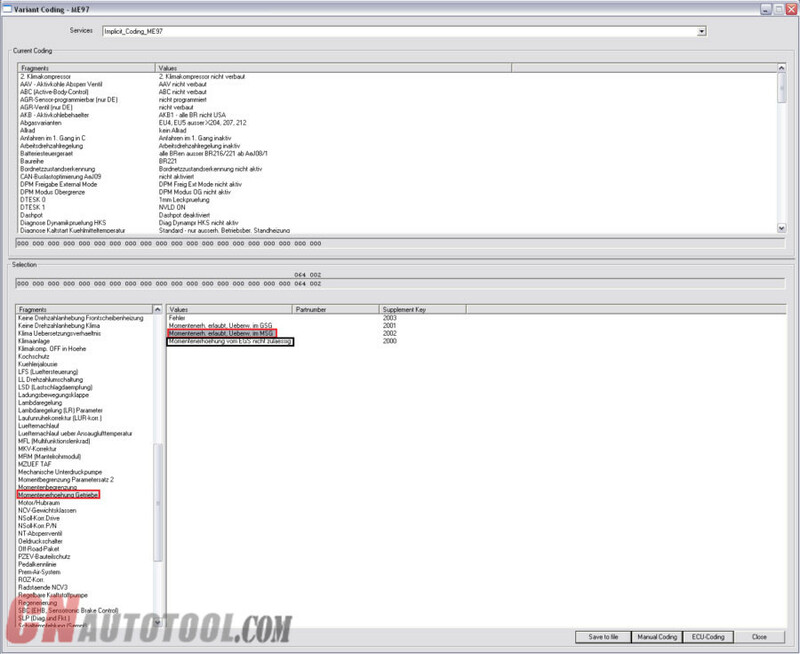 Combining KLD4 with disabling the throttle change damping parameter may be undesirable in terms of comfort/consistency. #3 (Momentenbegrenzung) This is the torque limit parameter. The main effect I’ve observed from disabling this is that the car doesn’t reduce throttle/torque as much while cornering anymore, and the car seems to accelerate slightly faster from a standstill than before. May not be necessary to fix throttle delay, but I find it favourable. #4 (Momentenerhoehung Getriebe) This parameter is supplementary to #3 . Like MrScott describes in his video, it allows the engine ECU to monitor torque output and send it to the transmission, but keeps it within safe/comfortable limits. I find this parameter to improve gear shifts very slightly; torque input and acceleration remains very steady throughout gear shifts. I believe it very slightly improves acceleration, even compared to only having the torque limiter disabled. Do not change this to the GSG setting. Doing so resulted in some very uncomfortable shifting. I’m not sure if there’d be a long term effect on the gearbox here, so just don’t as a precaution. 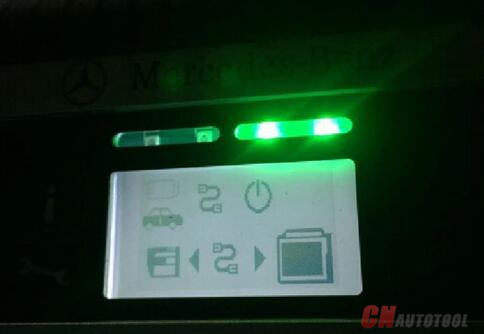 The Benz diagnostic tool highlighted in black is the default setting – the ECU is not allowed to increase torque to the gearbox depending on measurement. With all these parameters changed, I have my car performing the way I’d like it to. It’s performance remains far more consistent, there’s significantly less throttle lag, and it does actually accelerate faster (I’ve measured), but only very slightly. Starting off in C mode on an incline also no longer feels like as much of a strain. Now, all of this being said, if you have the tools and such to do this yourself, or know someone who can, you do so at your own risk. I’ve driven over 10,000km already without any negative effects of this, but I just don’t want to be responsible if anything goes wrong. I can’t imagine anything would, though. If you are willing to do this yourself, please be aware that there are many ecu parameters that are difficult to understand, and modifying them at all could potentially cause irreversible damage. I do not recommend making adjustments to any other unknown parameters without thoroughly researching their function and/or purpose. p.s the screenshots were taken in simulation mode, I didn’t think to screenshot anything while I was actually connected to my car. The highlighted values are still of course relevant. 1. 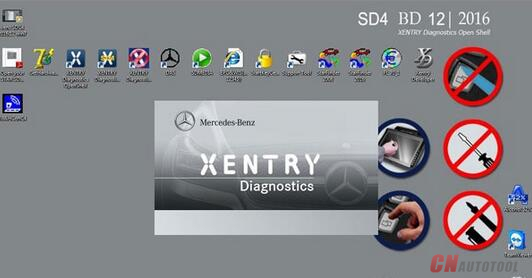 Prepare 6 AA5 batteries according to Instruction for how to install MB SD C4 Batteries. Note: Please do use brand new batteries with sufficient electricity; otherwise, you will fail to update the firmware. 2. Open the software “2012.09 DAS”. 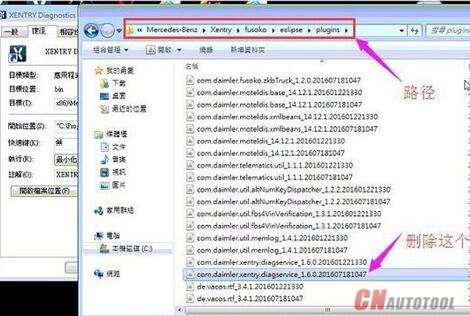 Go to C:\ program files \ SDconnect Toolkit to check whether there are the three following files as the pic below shows. 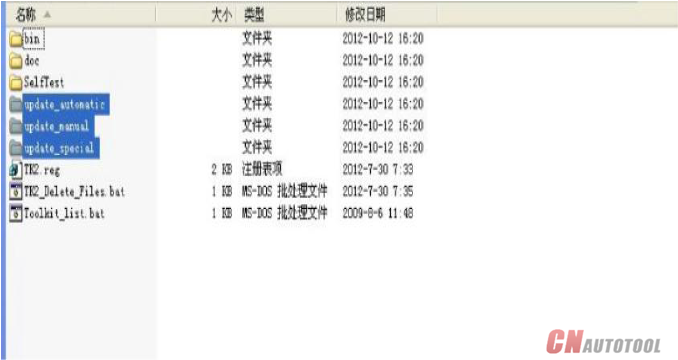 If the files’ names are different from the pic shows, please correct the names the same as the pic shows. 4. Start to update the firmware according to how to update MB SD connect4 MUX.